Customer satisfaction, informed decisions based on well-documented facts, and bottom-line results are the cornerstone of the intensely competitive telecommunications industry. Deregulation, innovation and emerging technologies, including the internet and all it brings to the industry, has transformed the services and products on offer, and the very way telecommunications companies do business. Traditional markets have been turned upside down, as the growth in mobile services outpaces the fixed line, and the internet starts to replace voice. Telecom is less about voice and more about text and images. In many countries around the world, government monopolies are now privatized, paving the way for a rush of new entrants, and making capturing and keeping market share all important. Employees are empowered to collaborate and communicate with each other, customers, and partners in both buying and selling relationships – anywhere and anytime – and they have the technology to do so. The flow of consistent, accurate and easy to read information across all customer-facing processes plays an important role in bottom line results. 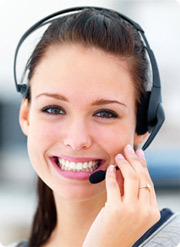 Call centre staff who respond directly to customers and answer their questions, communications personnel who prepare articles for the web, managers who write convincing business cases and proposals, regulators who produce contracts, and customer service staff who respond to customer complaints – all share the responsibility for increasing customer loyalty, improving decision-making ability and raising productivity. According to a survey commissioned by Genesys Telecommunication Laboratories in the US, poor customer service cost an aggregate of $338.5 billion per year. The survey of 8,880 consumers across 16 countries found companies in the financial services and telecommunications sectors should take special notice. Statistics revealed that cable and satellite television providers lost upwards of $37 billion, wireless carriers and internet service providers each lost $36 billion, and landline carriers posted $33 billion in lost revenues. British Telecom was receiving almost a million inquiries a year from customers about their phone bills. Siegel and Gale worked with British Telecom to arrange information logically, providing summary billing information on the first page and more detail on follow-on pages. The revisions grouped charges, explained them in clear, simple language, and provided easy-to-understand calculations. With the new bill, the number of customer complaints and inquiries fell by 25%. Also, customers paid the new bill more promptly, improving cash flow and reducing the cost of collecting overdue bills. Avoided exorbitant cost of content development by purchasing high quality and well-tested courseware designed by business writing experts with experience in sales-focused writing skills. Learning can occur in remote and international destinations as it is needed to ensure a sales-focused and consistent outcome is achieved. As part of a consulting and blended learning approach, critical and essential documents have been redesigned and rewritten to be sales-focused and well-structured for the intranet. The results have been documented and include a significant reduction in time taken to answer customer questions in the inbound call centre and a large increase in the number of value added sales in the outbound call centre. These have been directly attributed to the improved documentation.